W. W. Norton & Company, 9780393345230, 669pp. 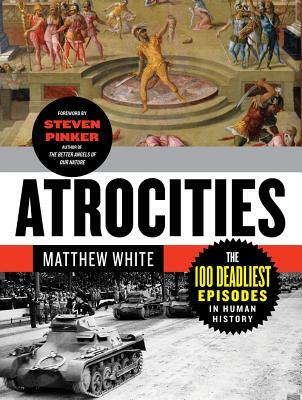 Evangelists of human progress meet their opposite in Matthew White's epic examination of history's one hundred most violent events, or, in White's piquant phrasing, "the numbers that people want to argue about." Reaching back to the Second Persian War in 480 BCE and moving chronologically through history, White surrounds hard facts (time and place) and succinct takeaways (who usually gets the blame?) with lively military, social, and political histories.